Over the years, Feldco has developed several multi-level retail buildings in Manhattan, which were ostensibly built-to-suits for various companies. 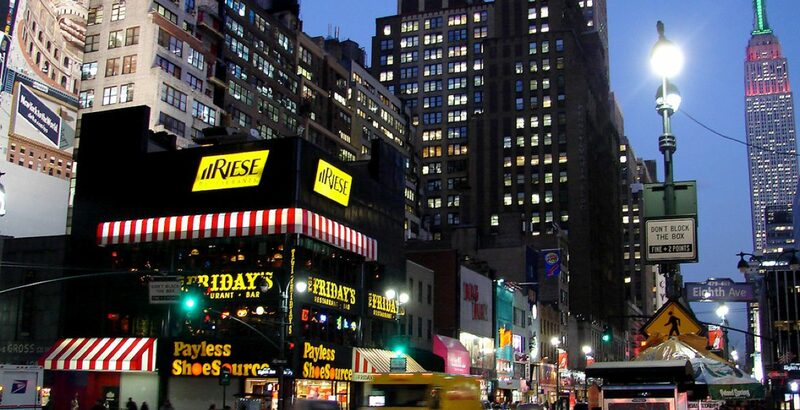 This project in Herald Square is a great example of those undertakings, whereby the Riese Organization, one of the largest restaurant groups in New York, asked us to find them a location where they could house a bunch of their restaurants under one roof. As such, we identified, acquired and redeveloped an underutilized commercial building and transformed it into a multi-level restaurant hub on one of Manhattan’s busiest corridors.